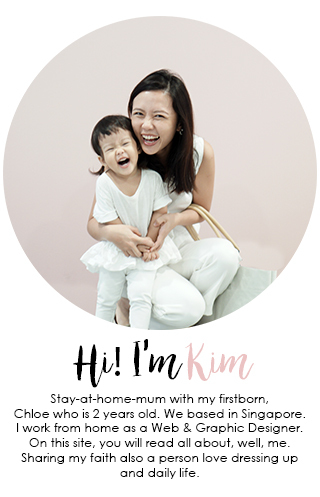 sorry all..for less outfit post nowadays..
present you my outfit to work…. the one of the most enjoyable things for me at work!! hehe..hope u love it ya! 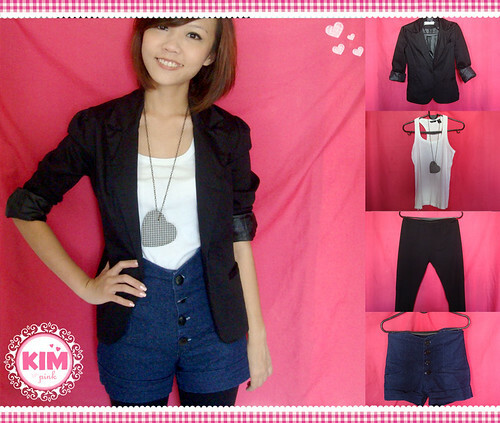 Trendreports-Blazer, Moca- bigheart necklace, MNG- basic tank top, unknown-Black Legging, So beautiful, Sunway- Jean high waist short. i love this outfit for no reason, simple clean but bit edgy!! Dorothy Perkins- White Basic top, Diva- cross necklace, blogshop- navy blue pluffy skirt, taiwan spree- grey legging. i finally found my cross necklace!!! *wink* i’ve been searching high and low for it, though my mum promise to give a real white gold cross after i get baptize but i cant wait d lar.. Thanks God i found this RM26 cross from DIVA!!! haha..
Baptize! i want be baptize! sometimes i did feel fed up after spend most of the time finding clothes to wear and match around by ending it with simple outfit! and this was the day!! i realise i have lotsa white basic!! they are my bestie, and so matching friendly!!!! getting some black one as well…any idea where to get nice, quality black baby tee??? i love love love friday!!! and i always end my week with jean!!! friday is a jean day!! Today sermon touched me!! Pastor wong really preach the message well!! every words wake me up and hit me!! Thanks God for waking me up once again!!! i dun wan to cry in front of ur parent!! yeah, revolution successful!outfit is back! how nice hor can wear nice nice clothes to work! will bring headache to me as well! i love the layout can see the clothes in real clearer! good job babe! love love love the blazer. any chance to buy it from your blogshop? anonymous: sorry sweetie, its sold out long long time ago!! but ill try whether the supplier have smth similar not ya!